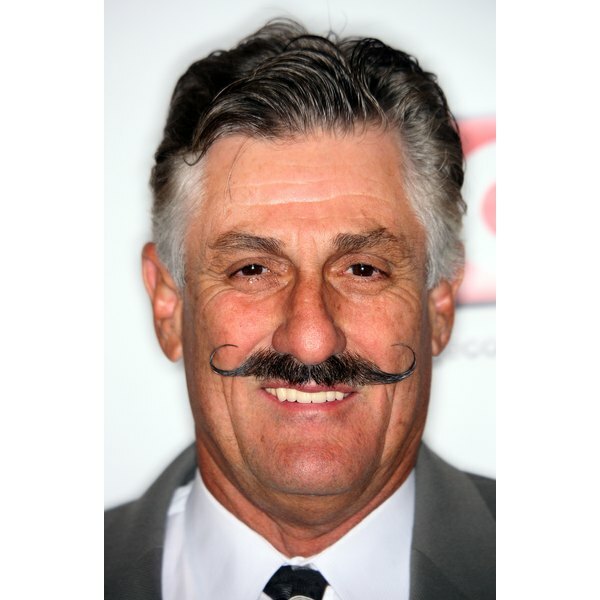 MLB star Rollie Fingers shows off a perfectly manicured curl. 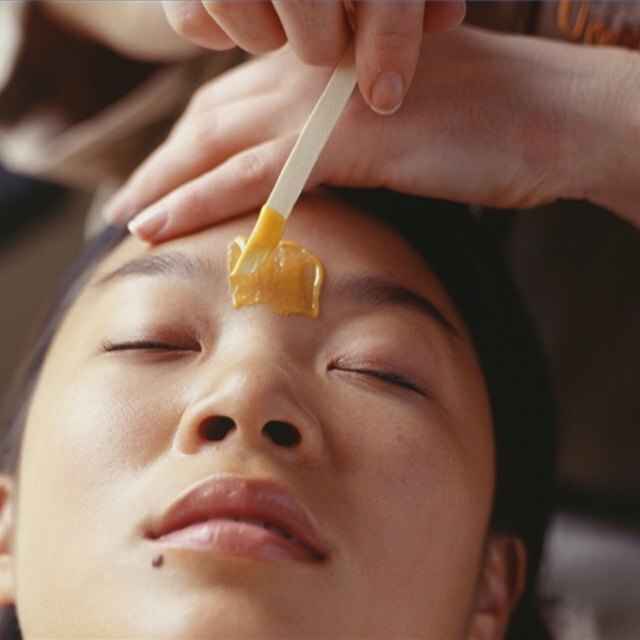 2 How Often Should I Wax My Eyebrows? Though mustaches with curled ends generally fall into the “handlebar” category, they span a spectrum of styles, including the tightly curled Imperial 'stache, the bushy Hungarian and the eccentric Dali, among others. Men have made their mustaches defy gravity for many a century, but as a 21st-century man, modern products and plenty of recorded experience give you a leg up on getting your curl on. The first step to achieving mustache curl is waiting; from a bare face, it takes about three months to grow a twistable 'stache, and you'll need at least a centimeter of growth to pull off this look. If you've grown a beard during the cultivation stage and want to go with a solo 'stache, use an electric precision trimmer to remove the beard. When you reach your mustache, pinch its end whiskers up and out, holding them as you imagine they'll be when curled. Use the trimmer to shave under those hairs, so that the end of the mustache hangs down. This leaves you ample whiskers for a curled handlebar. Repeat on the other end. Once you've laid a whiskery foundation, a tin of mustache wax should top your shopping list. Keep your wax in a warm location to make sure it's nice and soft before use. If you need to warm it up on the fly, keep it in your pants pocket or hold it between your palms for a few minutes. You'll also need a fine-toothed mustache comb to maintain a polished look. To keep your mustache pliable, massage it with a couple drops of beard oil every few days. To style, comb your mustache downward to work out kinks, then massage a dab of mustache wax between your thumb and index finger. Start at the center of your upper lip and work the wax into your whiskers until you reach the ends of your mustache. Pinch the ends and twist the tips upward. Comb either side of the mustache from the center to just before the tips to smooth out the wax. Now pinch the ends once again and gently pull them outward, using the bottom of your index fingers to shape the tips into an upward curl. Hold for a moment, then release. It takes about 10 minutes for the wax to set, so use that time to fine-tune the curl with gentle nudges if you need to make adjustments. For a particularly long mustache, use a bit of hairspray spritzed onto your index finger and thumb to secure the curl. For a super-tight curl, wrap the tips around a pencil when you apply your wax. Keep your mustache supple and prevent waxy buildup by washing it with shampoo and conditioner at least once per week. Be prepared to invest a little time in your handlebar 'stache each day -- if you don't style your fully matured mustache, the sides will droop and become food magnets rather than tidy twists. Curl your mustache daily to help “train” the whiskers, making it easier for the hair to hold a curled shape over time.